At this point, we all know the story: no-name indie developer with a fresh idea wrestles a game to market, makes his or her millions, and moves up in the world. It's hard not to love the concept - great games deserve great reward - but sometimes, it's just not that simple. When Arnt Jensen and Dino Patti formed Playdead to produce Limbo and wound up selling an unexpected two million copies, things should have been so straightforward. But they weren't. Two years after enjoying success that most new studios can scarcely dream of, Playdead has barely broken even. Nearly everything Jensen and Patti have earned has already been spent, just to keep their company from being sold out from under them. The year is 2006, and Jensen and Patti had just joined forces to take Limbo from vision to product. The pair had initially planned to develop the game by themselves, but as its scope widened, both realized that additional capital would be needed to finance the game. At this point, Playdead had already been approached by numerous publishers, in some cases offering Jensen and Patti nearly anything they wanted in exchange for rights to the IP. Jensen, however, declined, claiming that publishers would never be able to afford them the freedom to allow for what he called "chaos and experimentation." "To me," he said, "these offers felt like a contract with the devil. "I've never liked the idea of business people being in control of creative decisions, and I firmly believe that money and creativity shouldn't be mixed. Business people always want to measure progress but the fact is creativity cannot be measured." Still, if Playdead was to produce the Limbo that Patti and Jensen had envisioned since forming the company, they'd still need the capital to finish production. With publishers off the table, the team was left with but one option: gathering independent investors to help finance the game instead. But while both Jensen and Patti ensured that any financiers they signed with couldn't alter the game, their backers' inexperience with game development proved a constant source of aggravation, forcing the team's attention toward coping with external pressures and wasting time with what Jensen considered "pointless and endless board meetings." 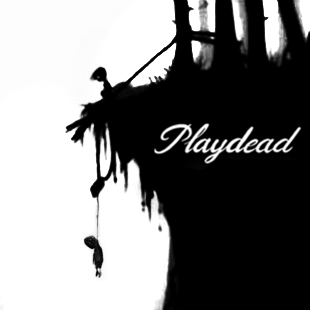 Still, despite the hassles, Playdead was eventually able to reach its end goal, and by 2010, had created the Limbo it had always intended - even if they'd had to go through external business partners to get there. "When we showcased the game to the public for the first time during GDC 2010, we got massive reactions and I became pretty confident about the potential success of the game," Patti said. And he was right. Though it had been impossible for him to know at the time, Limbo would go on to earn countless awards, including two during its initial outing at that very conference. In fact, within just one month of the game's release later that year, Limbo had already sold 300,000 copies, the same number Patti and Jensen had hoped to achieve from the game's entire lifecycle. Unfortunately, around the same time that Playdead's flagship game hit the spotlight at GDC, its financial partners made it clear that they had different plans for the company: they wanted to sell, a decision that would have put Patti and Jensen in the exact situation they'd partnered to avoid. During the following years, Limbo sales exploded, eventually reaching nearly seven times initial estimates. But while their game was finding unexpected successes, Jensen and Patti were trapped in a struggle to achieve independence from the very people who'd helped fund it, and hold on to the company they'd built together. Finally, by August of 2011, Jensen and Dino were able to make money enough from their once small project to take back both Limbo and Playdead, exhausting much of the profits their breakout hit had made them in the process. "It was a fight that lasted two years," Patti said," and cost us the majority of what we earned from Limbo. I still think it was worth it." Now, with many of the initial proceeds of Limbo gone, and no interest in attracting a publishing parent, Playdead is once more just a small team of passionate people eager to create without the oversight of a third-party. While some may consider that trade a disappointment, to Jensen and Dino, it was worth it. "I am so proud of what we achieved," Jensen said. "With one game we earned our independence." When Jensen says "earned," the term expands far beyond profits. Game development is an arena where both money and creativity forcibly collide, often compelling compromise to see a project grow from mere conception to completion. But where other designers have been forced to bend their ideas to meet the will of their funders, Playdead chose a route of sacrifice, willfully reinvesting the success of one vision to lay a boundless foundation for what, hopefully, can be countless others. As for what's next? With a beautiful new collector's edition for Limbo just recently released, and a few years of development already under their belt for a top secret new project, Jensen, Patti, and their team of twenty are still hard at work on what will be Playdead's first truly independent game, set for tentative release in the next few years. And Jensen couldn't be happier about it. "Now that we have achieved what I have always been fighting for, to be uncompromising and independent," he said. "I feel like we have only just begun."